Marvel’s brand-new upcoming comics relaunch for Iron Man is going to lean heavily on the dark sci-fi, and we know this for sure because its author straight-up compared the new comic book run to Rick and Morty and Black Mirror. Tony Stark, it would seem, is going to get riggity-riggity-wrecked, son. In an interview with Nerdist published on Monday, author Dan Slott described his upcoming Tony Stark: Iron Man as “a superhero comic that’s somewhere between Rick & Morty and Black Mirror.” So does that mean somewhere between an insane interdimensional spacefaring romp and a frightening cautionary tale about emerging technologies? Maybe! To do that, he’ll need a lot of suits, perhaps more than we’ve ever seen in the comics or in the MCU. 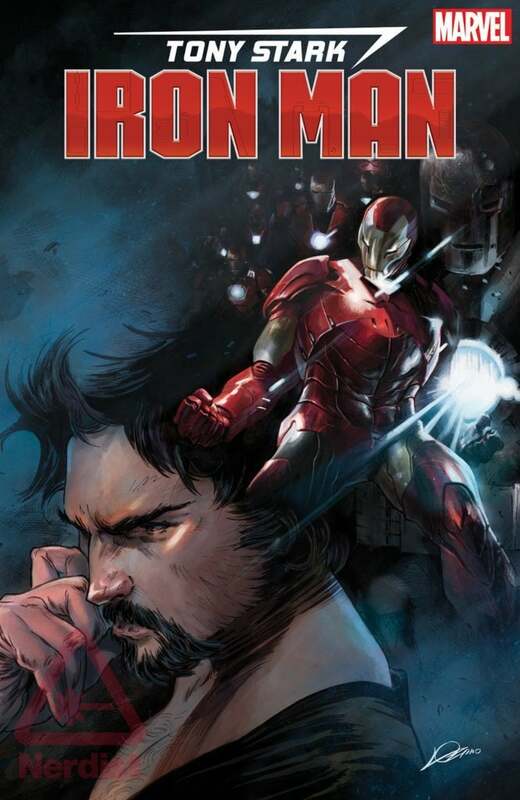 'Tony Stark: Iron Man' cover art from Alexander Lozano. Better yet, “ALL the continuity counts” with Tony Stark: Iron Man despite it being a soft reboot of the character, which means that long-time comics fans and fans of the MCU will find something to enjoy with the new story. “If you’re one of the billions of people on this Earth who only knows Iron Man from the movies, you can jump on right here for a fresh start,” Slott said. Tony Stark: Iron Man will be part of Marvel’s “Fresh Start” relaunch that includes stories for Doctor Strange, Captain Marvel, Spider-Man and Ta-Nehisi Coates’s take on Captain America. Tony Stark: Iron Man is expected to arrive in June 2018.